We went to my colleague’s wedding. The weather had been forecasted rain but it was a fine day on that day. 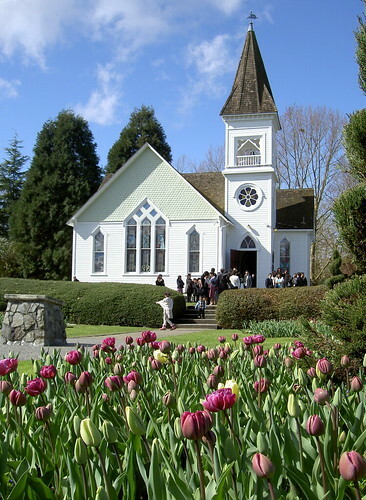 The wedding ceremony was held at the Minoru Chapel in Richmond. It was a charming church which was built in 1888. My colleague in bridal dress was amazingly beautiful. Since she is from Hong Kong, the ceremony was done in Cantonese and English. An entire restaurant was reserved for the reception and it was filled with 200 invited people. A dish after another dish came on a table. There were 12 kinds of dishes. My stomach was almost exploded at the end but it tasted so good that I finished everything. During the meal, the bride changed her dress three times. 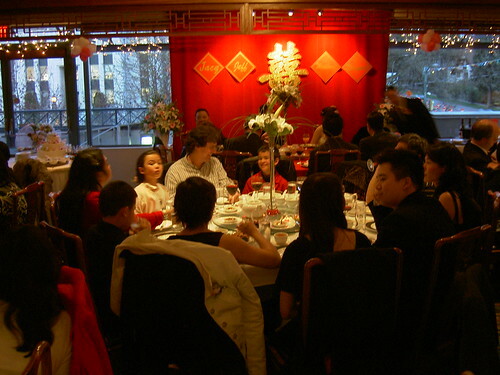 The thing I experienced for the first time was to make noises with chopsticks and plates. Ever time this happened the bride and groom had to kiss. The golden piggies in the photo were decoration at the restaurant. 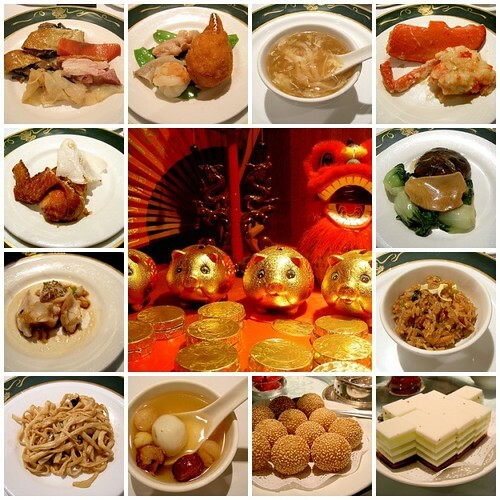 This year’s sign of the zodiac in Chinese astrology is pig. This year is a special Golden Pig year which only happens once in 60 years. It is said that the children who are born in this year and the birthrate gets increased in China and Korea.